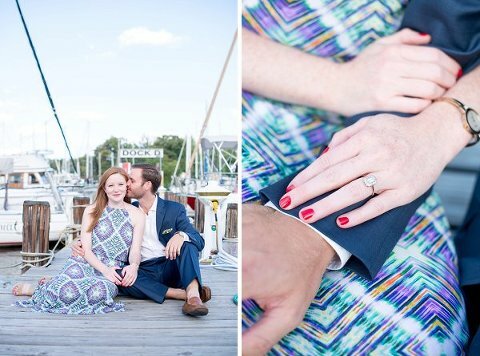 Eric & Jessica are going to steal your heart with this Annapolis sail boating engagement session from Hannah Leigh Photography! Their love story started at a work party… They got to talking and realized Eric’s older sister is Jessica’s boss! But that definitely didn’t stop Eric from getting her number at the end of the night! One of their first dates was going sailing together.. So having their engagement session one the water was the perfect fit. The love Eric & Jessica have for one another is palpable. They approach each other with tender care and it really shows through in their session. I was blown away by their kindness and generosity and wish them a lifetime of joy! 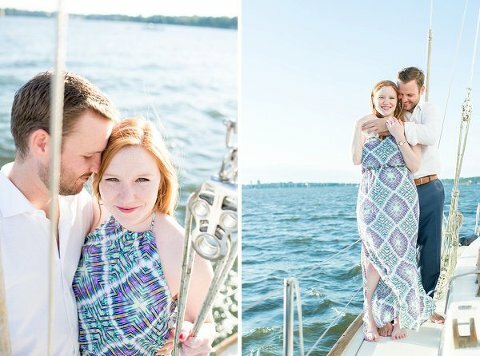 Eric and Jessica will be getting married in her home state, Alabama, this March.